For more information about stroke rehabilitation, please call (865) 331-3600. For information about stroke support groups, please call Wendy Callahan at (865) 331-2364. Stroke is the fourth leading cause of death and a leading cause of serious, long-term adult disability. 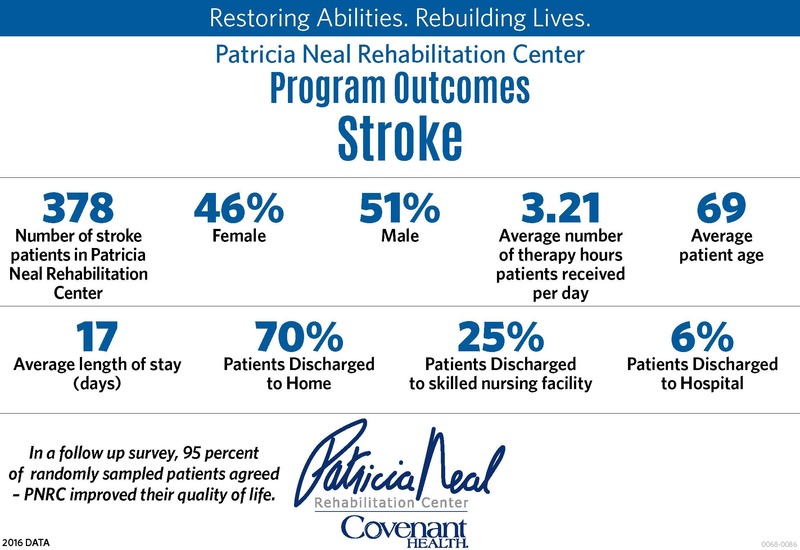 Patricia Neal Rehabilitation Center can help you and your loved one overcome disability and rediscover a satisfactory, productive lifestyle within the limits imposed by the stroke. 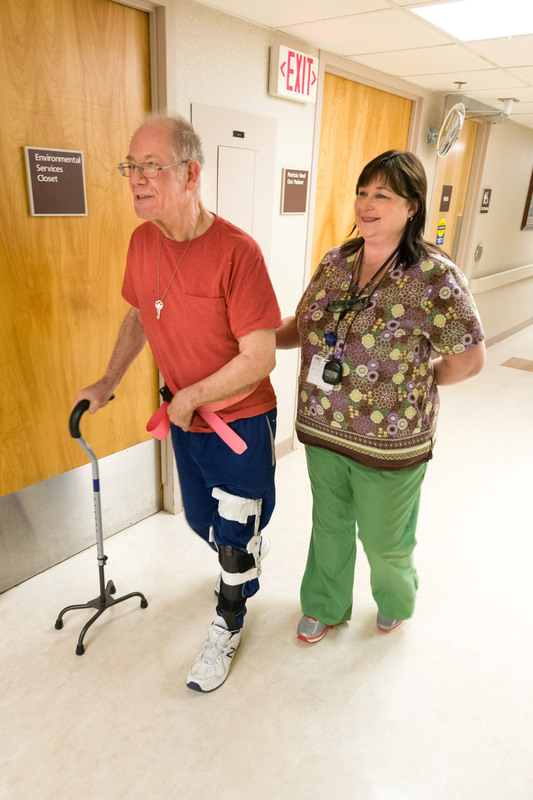 Many of the patients at Patricia Neal are people who have survived a stroke or Cerebral Vascular Attack (CVA). They are treated by a holistic team approach which includes the patient and family members. A team of physical therapists, occupational therapists, speech-language pathologists, rehab psychologists (behavioral medicine), nursing staff, case managers, recreation therapists and physiatrists (rehab physician) make up the treatment team. The staff has extensive experience and training in the treatment of stroke. Treatment is an active process with both patient and family involved in goal setting, therapy and education. Aspects of the programs include interdisciplinary therapy training in range of motion, strengthening and conditioning exercise, training in self-care and daily living skills, in ambulating and mobility, in homemaking, retraining in speech, language, and swallowing, monitoring medications, cognitive perceptual training, bowel and bladder retraining, leisure/recreation evaluations, psychological evaluations, and coordinated discharge planning. Other aspects include identification and management of risk factors to help prevent future strokes. Many stroke patients will require follow-up therapies after their discharge from inpatient care. These follow-up therapies could include visits from a Home Health care provider, outpatient clinic appointments, and community wide support group gatherings. The Stroke Support Group meets the 4th Tuesday of each month from 6:30 p.m. to 8:00 pm. Contact Wendy Callahan at (865) 331-2364 for more information. S = Speech Ask the person to repeat a simple sentence. Does it sound strange or slurred?